How do I Make Handcrafted Beaded Jewelry? 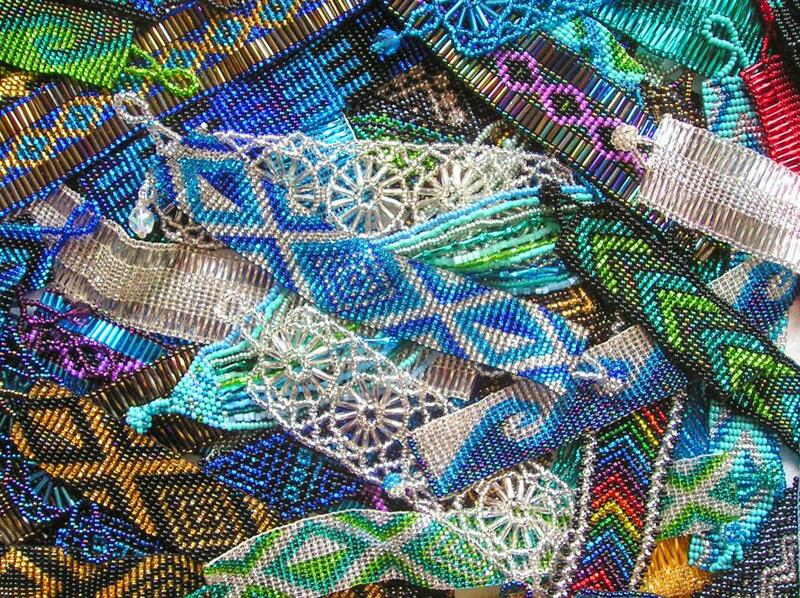 Weaving beads is a more advanced bracelet-making technique. 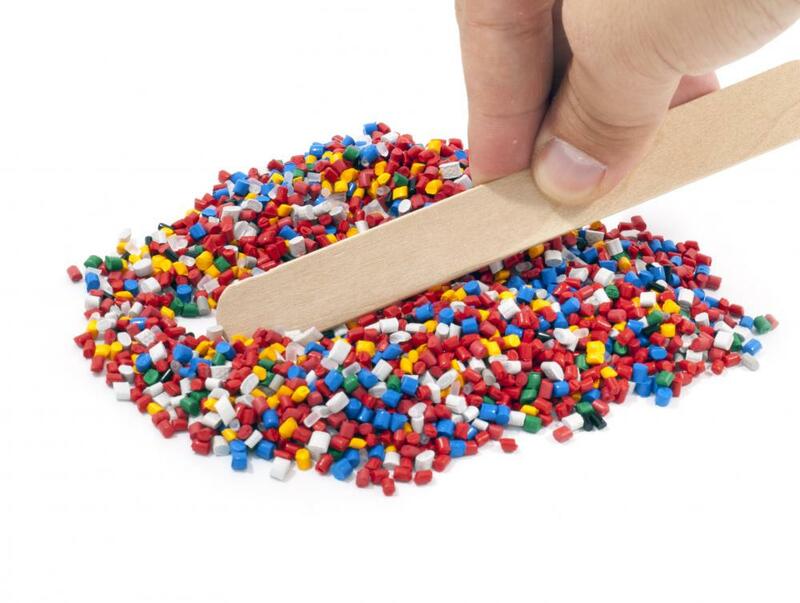 Plastic beads can be used to make earrings, necklaces, bracelets, rings and other jewelry. Making handcrafted beaded jewelry is a fun hobby, and it is a great way to add more jewelry to your collection. 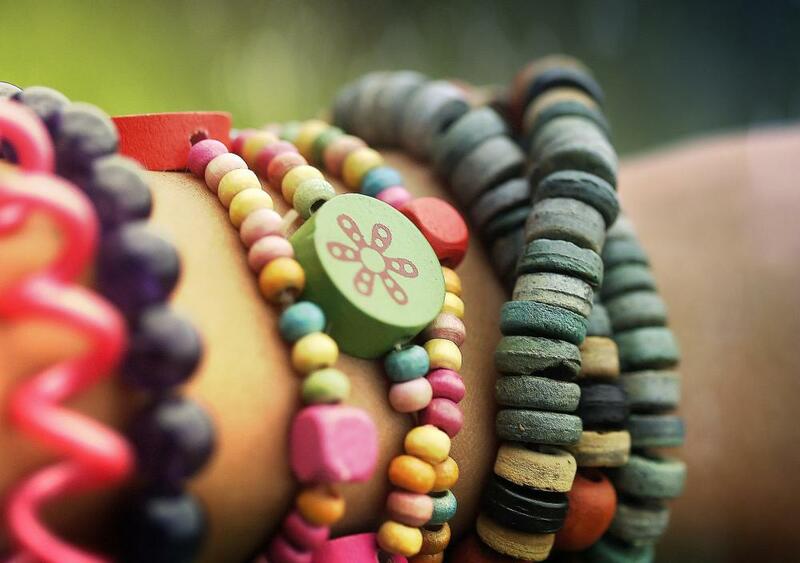 You can also sell your handcrafted jewelry to make a little extra money, or give it away as a gift. There are virtually endless possibilities for making beaded jewelry. When you are first starting out, as with any hobby, it is a good idea to purchase only what you need. If you enjoy making jewelry, you can always buy more items. To make handcrafted beaded jewelry, you have to decide what kind of jewelry you want to make. You can make earrings, necklaces, rings, bracelets, or anything else you can imagine. A visit to a craft store will help you get everything you need. This usually includes jewelry wire in various gauges, or sizes. The higher the gauge number, the thinner the wire--just keep in mind that although wire is stronger than thread, it is more likely to crimp when you do not want it to. Sturdy thread or nylon is another option for stringing beads. If you are making earrings, you can use wire and shape it into hooks yourself, or you can buy pre-made earring hooks and posts. You will also need pliers; crimping pliers are good to have if you will be using crimping beads. These are placed at the end of a strand of beads and then crimped closed to prevent the beads from sliding off. Standard pliers will also work well. Remember to also purchase clasps to attach to a necklace or bracelet. Standard tools such as scissors, measuring tools, wire cutters, and a large needle for stringing beads can also be used. To make specific pieces of handcrafted beaded jewelry, detailed instructions can be found in craft books and online. You might enjoy following jewelry patterns, but it is also a lot of fun to make your own. The best way to make handcrafted beaded jewelry is to plan out your design ahead of time, whether you follow a pattern or make your own. By planning ahead, you can make sure you have everything you need and already have a good idea of how it will turn out. All different types of beads can be used when creating handcrafted beaded jewelry. Glass beads and plastic beads are the most popular and colorful. Remember to also purchase spacer beads, which are small beads that go in between the larger beads to give the piece of jewelry a more finished appearance. Pearls, Swarovski crystals and pendants or charms also make nice additions to beaded jewelry pieces. Beads are relatively inexpensive and allow you to try making many different types of handcrafted jewelry. What Is a Bead Threader? How do I Choose the Best Jewelry Cleaner?